A easy open the door and move in property! This bright and airy family home enjoys a south facing position situated in close proximity to the village centre of Minchinhampton. 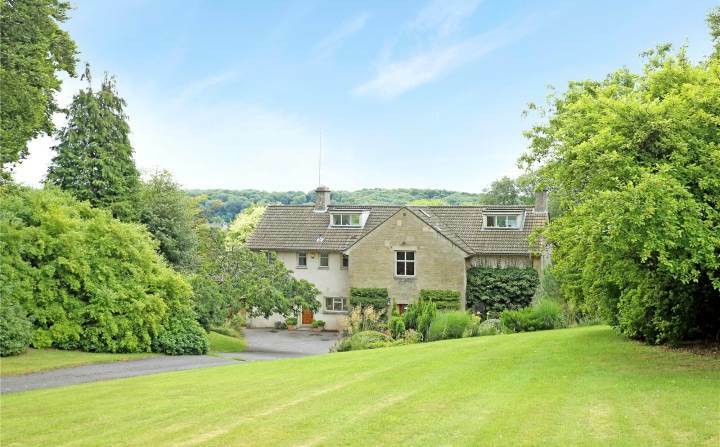 This unique property was designed by Peter Falconer for Lady Cripps in late 1950s. Built of stone, with Arts and Crafts Inspiration and incorporating a series of large picture windows the property offers unique character combined with a feeling of light and space. Family accommodation is positioned across three floors and consists of three reception rooms, six bedrooms, three bathrooms as well as a utility and laundry room. 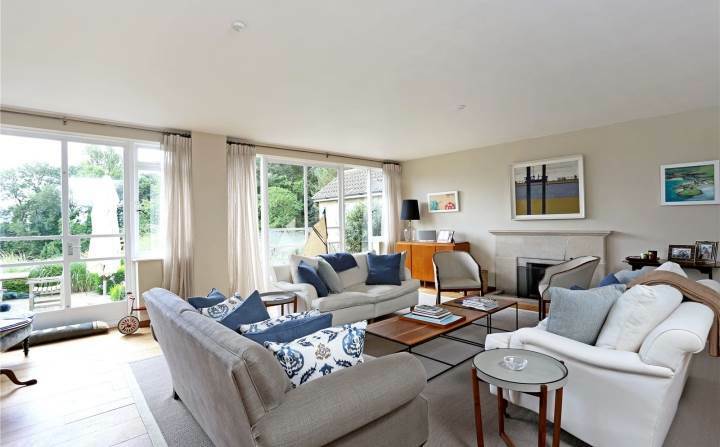 Particular emphasis should be made of the sociable kitchen/breakfast room with double AGA, oak flooring and picture windows overlooking the large gardens, which opens into a family room with woodburning stove. In addition, the drawing room and dining room enjoy French doors opening to a seating terrace, and in addition, the drawing room benefits from an open fireplace. The master bedroom with a balcony, ensuite bathroom and home office as well as dressing area is equally impressive.